"The Destruction of Leviathan," an engraving made in 1865 by Gustave Doré. The engraving depicts God slaying the legendary Leviathan, a sea monster. 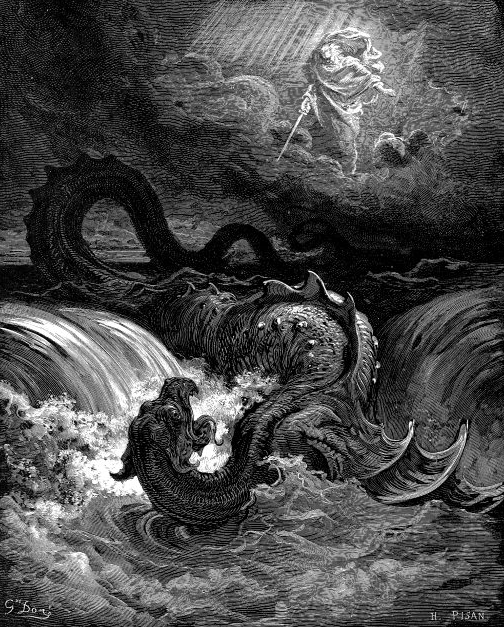 Doré was inspired by Isaiah 27:1: "In that day, the Lord will punish with His sword, His fierce, great and powerful sword, Leviathan the gliding serpent, Leviathan the coiling serpent; He will slay the monster of the sea."